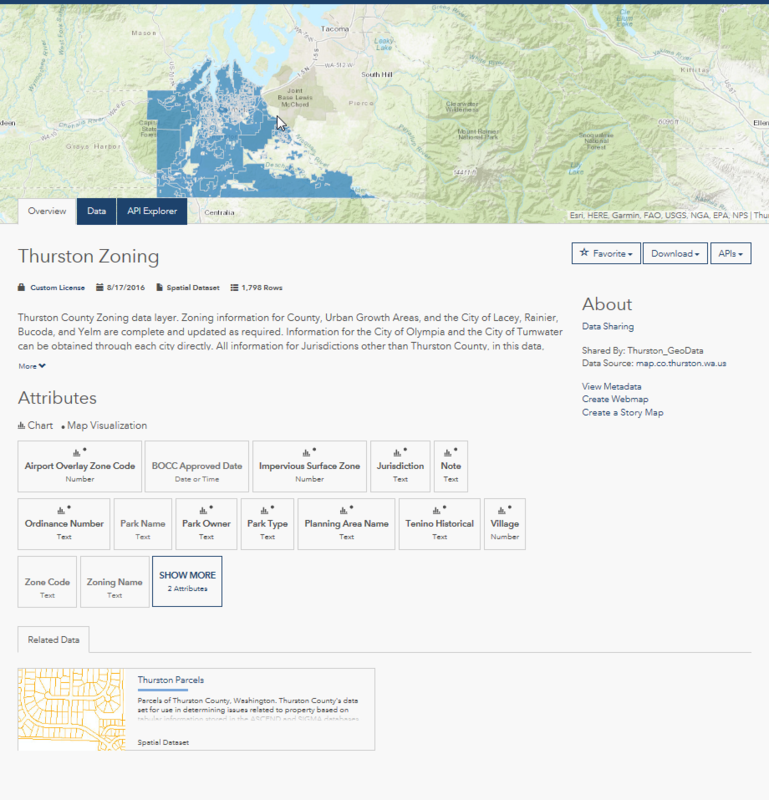 The Thurston GeoData Center Open Data Site (https://gisdata-thurston.opendata.arcgis.com) allows you to find, filter and download data for use in your own applications and devices. 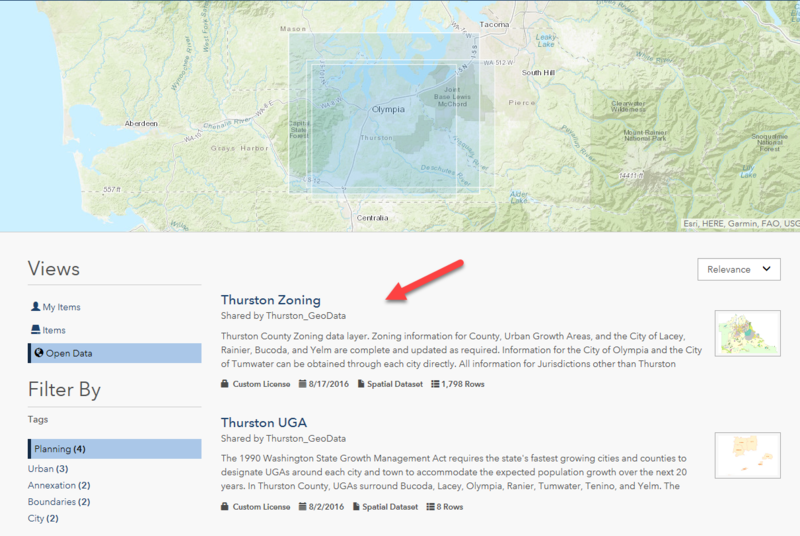 This data includes GIS shapefiles, .dbf tables, layer files and excel spreadsheets. Once you have found the data you are interested in click on it. The layer will open to the Overview Tab with details about the data. 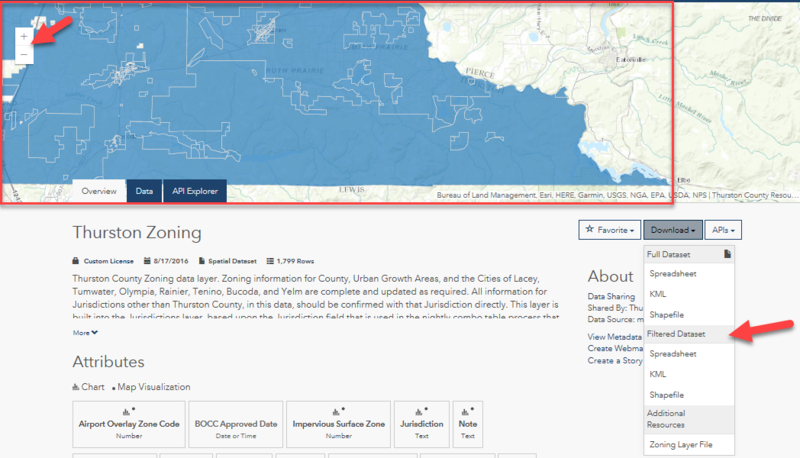 From here you can filter the downloadable data by using the map to zoom into a specific area. 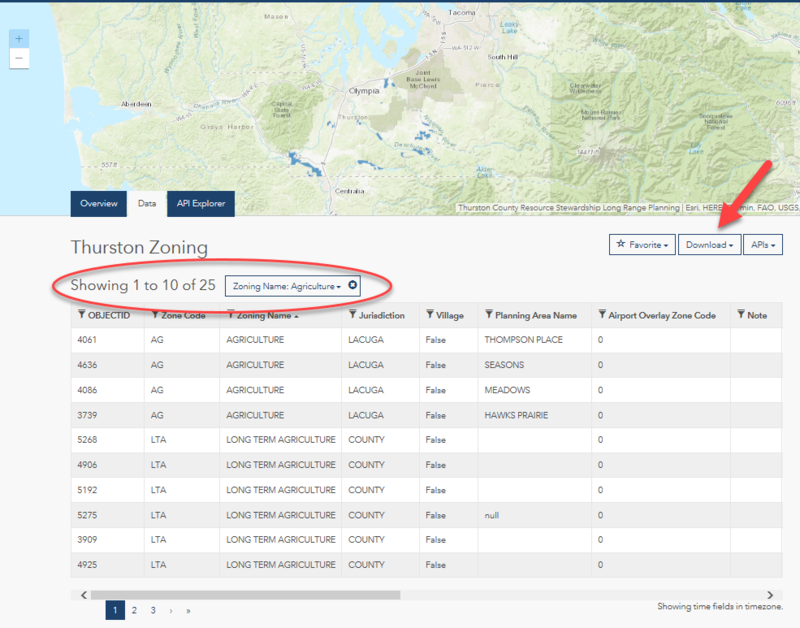 Then using the Download dropdown and choosing "Filtered Dataset" options. A filter using this method can be done in any of the 3 Tabs. 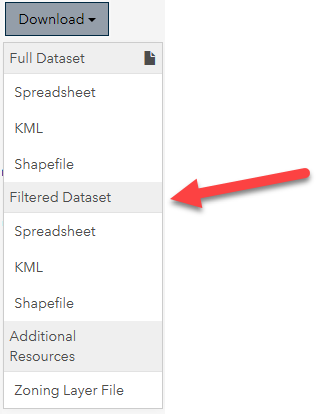 To filter the data by attributes, click on the Data Tab it includes a view of the table which allows you to filter the data before downloading. 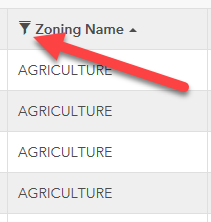 To filter the data click on the filter icon next to the column name. A box will appear above the table where you can type in the information you would like to filter. The data will be limited to only information that matches your filter. From here you can download the data by using the Download dropdown and choosing the "Filtered Dataset" options. To reset the filter simply click on the X in the filter box.